Geosys provides an one-stop services for the higher level of intelligent and efficient data management in our browser-based platform. 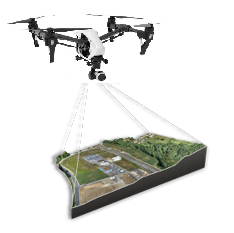 Drone technology is both reducing the risk and boosting the working efficiency. What’s more, it is safe and secure throughout the period of flying. NavVis M3 is used to capture the largest indoor environment. This system is designed for large-scale scanning projects. Point clouds and 360° immersive imagery can be automatically captured when walking through a building. 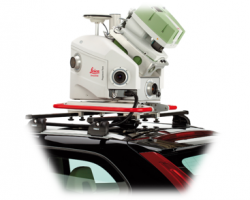 A vehicle and application independent reality capture sensor achieves the efficient mobile surveying. 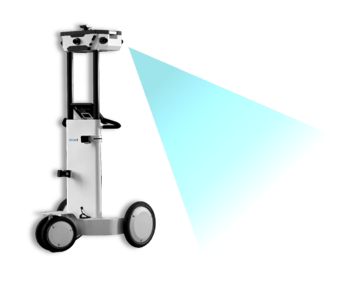 It is a powerful platform that combines laser scanner with high-resolution and measurable camera. 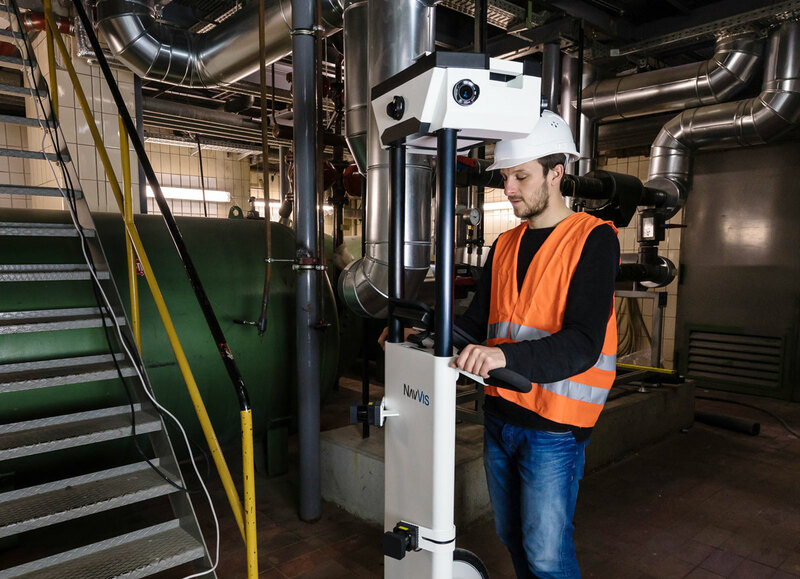 Efficent, effective and simplified 3D scanning: Capture up to 30,000 square meters a day with mobile scanning. The M6 automatically captures reality as it is pushed through indoor environments. Scan to BIM: Build facilities management solutions to monitor equipment usage, manage energy systems, lower operational response times, increase occupant engagement and overall building safety with indoor positioning. 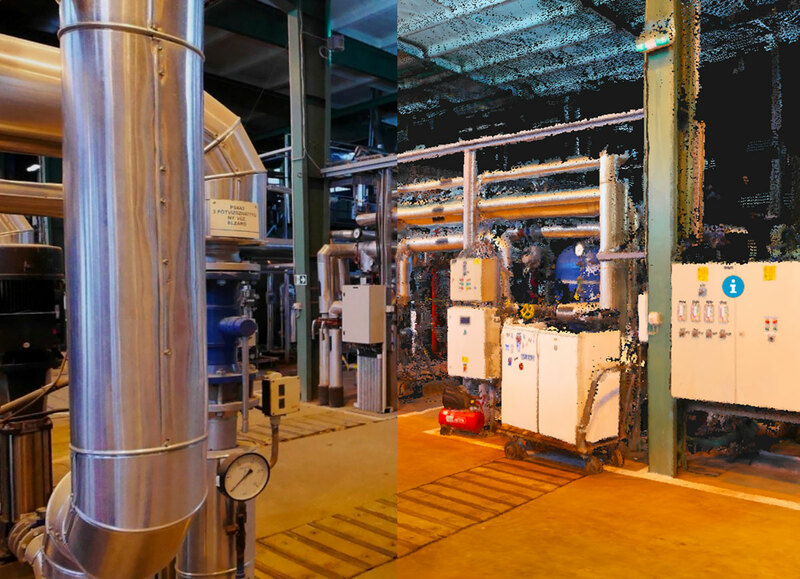 Detailed, realistic 3D representation: 360 degree immersive images and photorealistic point clouds create highly detailed digital factories that you can walkthrough virtually from anywhere. 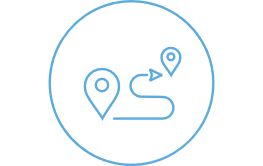 Intuitive, powerful functions in brower-based platform: Add, edit, search and share comments and geo-tagged information with the point of interest function. Take accurate measurements and plan your indoor routes. Digital footplans can also be accessed. We adopted a more innovative and efficient method for data retrieval that combination of mobile laser scanner, stationary laser scanner and total station. This integration providing high resolution result is significantly beneficial to further data processing. 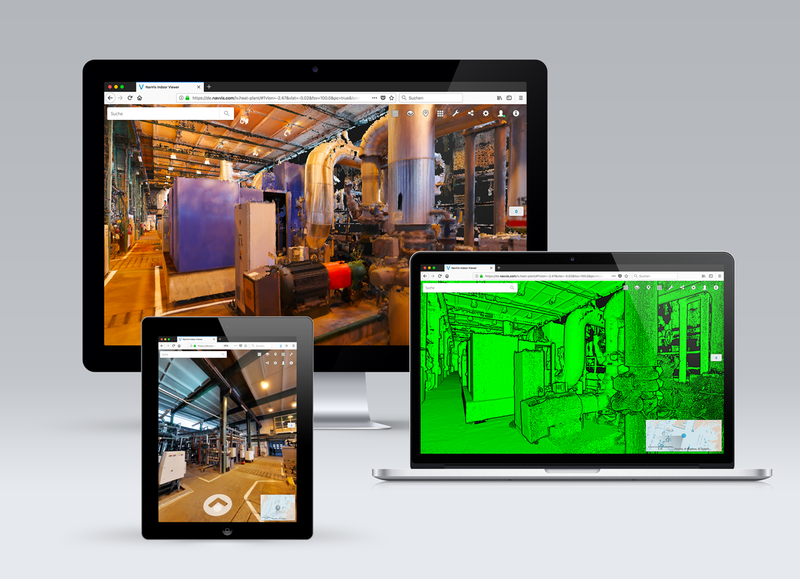 360 degree immersive images and photorealistic point clouds create highly detailed digital factories that you can walkthrough virtually from anywhere. 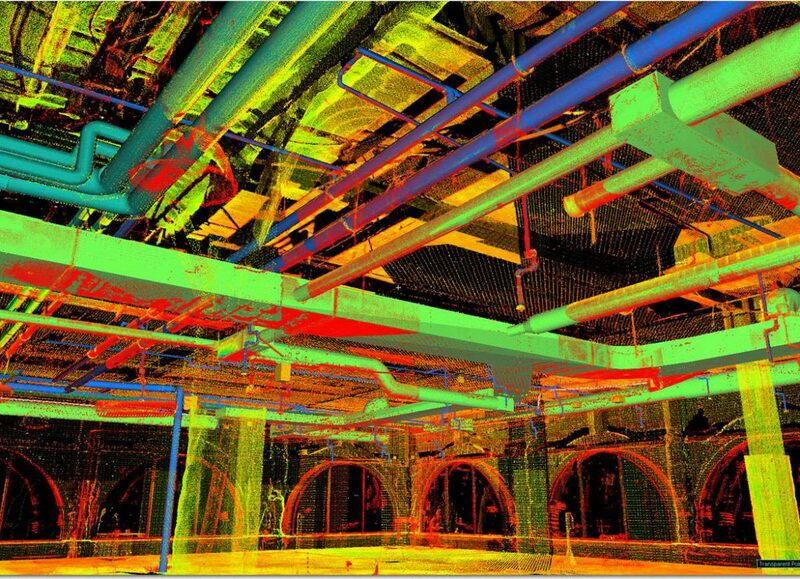 Generate 3D point clouds of large buildings in record time, immediately compatible with any CAD software – conveniently generate BIM models or floorplans for existing structures. 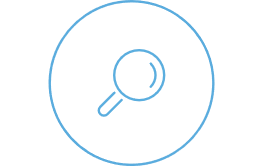 Intuitive, powerful functions in brower-based platform: Easily integrate your existing apps or websites to streamline user experience. Achieve what you want to do on the platform. 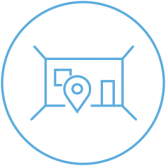 Positioning and Navigation: See your position on the map and navigate to your desired location. Follow the step-by-step directions on a virtual path.